May the best be with you. May the best wishes come to you. 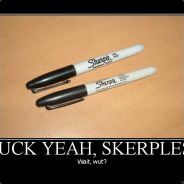 Best wishes skerples. Good luck in whatever it is you plan on doing!